← Solar pannel from plants. Is it possible? As long as an international policy on carbon emissions by airlines is not found, the “EU will stick to its own ETS system”. 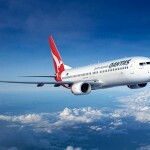 The carbon tax imposed on airlines by the European Union came into effect on January 1, but carriers will begin receiving bills only in 2013 after this year’s carbon emissions have been assessed. The EU has says the tax will help it achieve a goal of cutting carbon emissions by 20 percent by 2020 and that it will not back down on the plan. But more than two dozen countries, including China, Russia and the United States, have opposed the EU move, saying it violates international law. China has blocked Chinese airlines from buying Airbus planes amid an increasingly bitter dispute over the EU’s carbon trading scheme, the chief executive of Airbus’s parent company, EADS, has said. “The Chinese government refuses to approve airlines’ orders for long-haul aeroplanes,” EADS CEO told reporters at a press conference, as he presented Airbus’s annual results. How long will the European Union continue to defend its controversial aviation carbon taxscheme amid growing international opposition? In late February, 29 countries, including China, the United States and Russia, signed a jointdeclaration in Moscow opposing the EU carbon tax scheme, but the European Union hasmaintained its tough stance. The threat of a trade war will not make the European Unioncompromise on climate legislation, Connie Hedegaard, the bloc’s commissioner for climateaction, recently said in a statement. International affairs expert Cui Lei believes that the real purpose of the EU is to increase itsenergy security though it introduced the carbon tax plan in the name of reducing emissions.The union relies heavily on oil imported from the Middle East and natural gas from Russia. 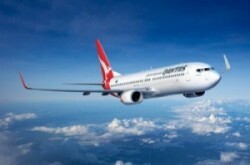 Ithopes to reduce the dependence on foreign energy supplies by imposing a carbon tax oninternational airlines. In the eyes of many legal experts and aviation industry insiders, the European Union’sunilateral move to force international aviation into its into its Emissions Trading System (ETS) isin violation of international rules. Tony Tyler, director-general and CEO of the International Air Transport Association (IATA), recently said that the ETS requires airlines to pay for emissions of all flights into and out ofEuropean airports, including the portion of those flights outside EU airspace. The systemviolates international aviation rules, and can be easily interpreted as an attack on thesovereignty of other countries. The IATA does not oppose emissions trading, but measuresmust be globally coordinated and avoid market distortions. The European Union’s carbon tax scheme is “unjustifiable and unlawful,” said Ma Jiachang, aprofessor of aviation law at the School of International Law under China University of PoliticalScience and Law. The EU argues that the cost for airlines is manageable, estimating that the scheme could prompt carriers to add between 4.0 and 24 euros ($32) to the price of a round-trip long-haul flight. This entry was posted in Innovations & Technology and tagged aviation, carbon, carbon tax. Bookmark the permalink.